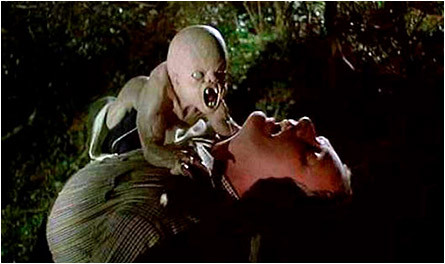 At the end of It’s Alive (1974), Frank Davies, the father of the mutant claw baby, gets a phone call: “They found another one…in Seattle.” OK, I live in Seattle and hearing that totally gooned me out. This momentous moment sets up the 1978 sequel, It’s Alive 2: It Lives Again. Don’t care how cute they are, I don’t want mutant claw babies eating my face off. And neither does Frank, who gets a bunch of doctors and scientists who “think outside the box” to track down the babies for studying purposes before they can be killed, which is what is being done in delivery rooms all over the States. 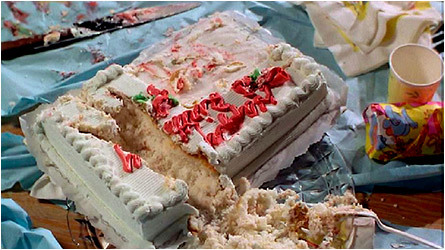 Frank even goes so far as to crash a baby shower of an expectant couple to warn them that a.) their newborn is a mutant claw baby, b.) that the police are standing by to blast it into oatmeal, and c.) he can save them and their little monster if they would just go to a remote cabin in the woods where he’s got two other babies hidden from harm. Yep, the police find out about all of this and don’t like it one stinkin’ bit. Lots of gunfire, blood and screaming. You may think you know how it ends, but you don’t. I, on the other hand, called it. 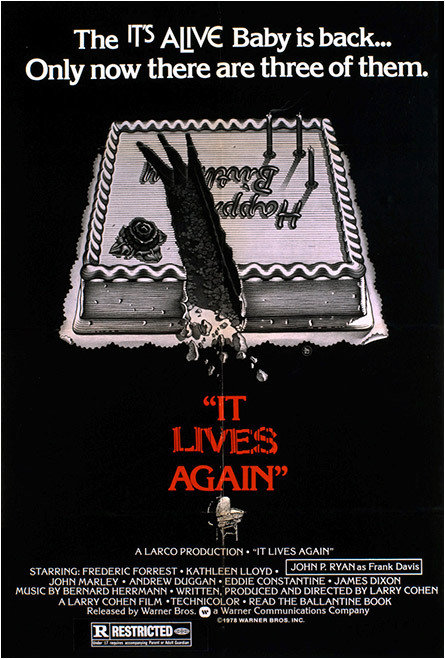 I will say, however, that the ending totally sets up It’s Alive III: Island of The Alive (1987). Nope, that’s all you’re gettin’ from me. I mean it. This entry was posted on August 23, 2018 at 4:04 pm and is filed under Classic Horror, Evil, Nature Gone Wild, Science Fiction, Slashers with tags Classic Horror, Evil, Frank Davies, It's Alive, It's Alive 2: It Lives Again, It’s Alive III: Island of The Alive, monster, mutant, Nature Gone Wild, Science Fiction, Seattle, Slashers. You can follow any responses to this entry through the RSS 2.0 feed. You can skip to the end and leave a response. Pinging is currently not allowed.